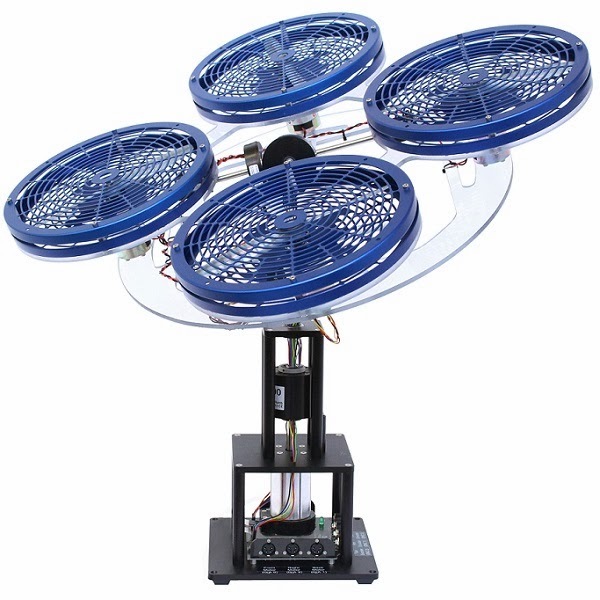 Quanser’s 3DOF Hover system has been serving the needs of researchers and educators in controls labs for many years. It is an economical and reliable hardware-in-the-loop test bed for the study of behavior of vertical lift-off vehicles in the lab, without actually flying. 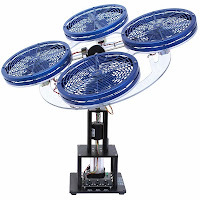 Here’s how some researchers are putting the Quanser 3 DOF Hover system to work. Professor Roberto Kawakami leads the Fault-Tolerant Research Group in ITA’s Electronic Engineering Department. His research team’s main focus is the fault-tolerant control. In this context, they have investigated both passive and active approaches. In a passive approach, the controller is designed to be robust to the effect of faults, whereas in an active approach, the controller is reconfigured by using information provided by a fault detection and isolation module. More specifically, their research has involved the use of robust and model predictive control techniques. As an example, they recently employed the Quanser 3 DOF Hover system to evaluate robust controllers designed by using an H∞ loop shaping method. The results were reported at the 2013 Asian Control Conference. For most of their research activities in this area, Professor Kawakami’s group has used Quanser’s 3 DOF Hover and 3 DOF Helicopter systems with Quanser’s QUARC® rapid control prototyping software. They chose to work with Quanser systems because of their simplicity, speed and efficiency. Using Quanser products allow them to focus their efforts on the design of innovative control laws, with minimal time spent on low-level hardware and software issues. They find Quanser’s customer support is very good and the equipment has proven itself to be reliable after several years of operation. The following is a video produced by Gonzalo Torro Ferri, then of the Universidad Politecnica de Valencia, Spain, showing a linear quadratic regulator and model-predictive controller designed to command the pitch, roll and yaw angles of the 3 DOF Hover system.